Often, what seems a reckless decision to homeschool, is really the result of the last straw placed on a pile of worry, grievance and outrage. A final shove to get parents over the cliff of indecision from which they were already dangling. A hesitant leap into a lifestyle the whole family will most likely benefit from more than they could ever have imagined. Well, yes. And no, of course not! But ya, probably. Maybe little Susie came home crying that she wouldn’t be able to show and tell her classmates all about her great grandpa’s war medals. But under the surface of this small slight there was probably a storm of discontent that had been brewing for weeks, months, or ever since her second week of kindergarten. But not every reactionary homeschool leap works out. Could there possibly be stupid and reckless reasons to homeschool? No way. Sounds like an oxymoron. I think homeschooling is the best, good, right thing to do, Forrest. And often occasionally I forge ahead with my enlightened hifalutin nose in the air. Confidence is key. Right? You see a need, interest or eagerness in your child (that outside schools cannot fill). You want to homeschool more than your kids want to be homeschooled. You can afford to homeschool (time required/income for basic needs) and still feed your kids without family panhandling or locking them in the basement. You can make homeschooling a priority. You won’t give up after three weeks and talk smack about the rest of us making it happen while on your lunch dates or at the gym. And if you can’t meet these five simple points, please rethink homeschooling. Or don’t think about it at all. You clearly haven’t thought it through yet anyway. The rest of us would like to offer you our tax dollars to send your kids to school and keep “homeschooling” out of the headlines and legislature. The decision to homeschool cannot be based solely on a knee-jerk reaction, or an “I’ll show them!” moment if it’s really going to work for the long haul. Parents must think past the momentary satisfaction they will get from say…showing that horrid aide in the school pick-up line that she has no power over their mini van anymore. How dare she tell me to get back in my car when I was just grabbing little Johnny’s lunchbox he dropped near the right front tire! (scribbles letter of intent on back of kid’s 7th tardy slip this month and stops to shove it under windshield wiper of the principal’s SUV). Maybe you made an aspirin of yourself at the last PTA meeting. Is that reason going to fortify you enough to commit to teaching grammar in your pjs for the next several years (or decades)? If not, show some restraint at the next meeting. If you choose to homeschool only so you don’t have to show your face in a certain crowd ever again, you could be doubling down on that humiliation when the overwhelming task you hastily embarked on forces you to return your kids with your tail between your legs after realizing there are no magic homeschool fairies coming to teach your kids. Please refer to the 5 points listed above before acting on impulse. Some stand-alone excuses to yank a kid out of school are down-right ridiculous. But, there are many great reasons to homeschool. And in combination with (or piled upon) one of these great reasons, even trigger-happy excuses to homeschool can become a solid base from which to leap. Then, once seasoned, parents will hopefully discover the rewarding cornerstones of the homeschool lifestyle. Like the straw that broke the camel’s back, so to speak. Alright, I’ll cut through the prose and get to the stinking point. My kids were bored, I was tired of forcing them to spend their time away from reality, real learning, and the joys of sunlight. I could no longer stomach forcing them into a system that beat a drum, and taught them to follow, while liberally assigning labels and suggesting medications. 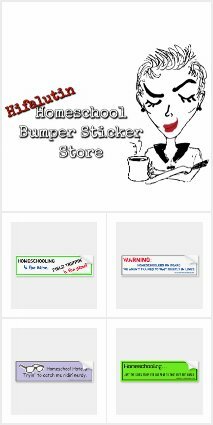 I was toying with the idea of homeschooling from the safety of my place in the pick-up line. One small straw falls on the hump and the camel collapses. That’s it. I’ve said my piece and counted to three. And now we’re homeschooling! Thanks for the shove, Broomhilda. THE BEST BOOK OF HOMESCHOOL LAUGHS! Before any parent sets fire to their kids’ stack of tardy slips and rakes the principal over the coals, or worse, goes out and purchases a laminator, they need to decide if they are acting out of momentary insanity or finally acknowledging the need to act. It may be hard for us to judge our own situation, much less the reckless decisions of others. What seems impulsive just might be the straw that broke the camel’s back, the match in the powder keg, the vinegar on the baking soda volcano. We don’t always know what road that particular camel has been down that led to this one triggering straw. Lets play a game: Reckless Decision or The Last Straw? Is the reason for deciding to homeschool a “Reckless Decision” or “The Last Straw?” It’s like playing fact or crap, only better. And maybe educational. Sort of. Probably not. Anyway, here is a list of what seem to be ridiculous and kamikaze reasons to homeschool. But are they really? You lost the popularity contest for PTA president. They no longer sell chocolate milk in the cafeteria. You and your kids are allergic to dawn. Not the dish soap. We’re not selling stale popcorn or yeti cooler raffle tickets door to door. Mandatory fundraisers are communism. The high school football coach is now also the elementary school principal, and they replaced the librarian with a teacher’s aide. Your mother-in-law said you couldn’t, shouldn’t, and she won’t allow it. The truancy officer didn’t agree with your pattern of spontaneous family field trips and good weather days. The basketball team got new uniforms and a coach bus for away games. There’s asbestos in the band hall. Your balance of library and lunch fines got out of hand and you’re going into hiding. The teacher threw out all the juice and pixie-stix you sent for snack time. We’re saving money on clothes. You got out of the car in the pickup line and were later identified and targeted 37 times on Facebook. Homeschooling looks fun and cozy like a Hallmark special. *Ask a friend to play along. Add your own precipitating events. Compare answers. Laugh, argue, empathize. Some of us needed an aggravating event to push us into acting on a situation we were afraid we couldn’t possibly fix. And we likely found we are more capable than we imagined. And then we look back wishing we’d had the guts to start sooner. But thank God for making us uncomfortable enough to finally dare. We’ve always homeschooled because my oldest was reading at 3. Seriously Bob books with cvc words, and long vowels shortly before her 4th birthday. When it was time for kindergarten (a few weeks behore turning 6), there was no way. The school wouldn’t start her in 1st grade, much less the 3rd grade work she was capable of in all subjects but math (1st-2nd). They wouldn’t even consider moving a child up early until 3rd grade age, and by that time, the idea of public schooling was history. … until 8 years later…. My second child begged for years to go to public school (he’s extremely social). So, we finally put him in to the second semester of 8th grade, with his age peers. Bully happened, and NOTHING was done about it, despite proper forms filled out immediately. They didn’t even move the bully from his classes! So we had our son moved, and he finished out the semester at the school. A year later (at home), he wishes we’d pressed criminal charges against the bully. I’m glad we did the school experiment, bc it changed our relationship for the better, but I hate that he got hurt, and learned first hand that a lot of teachers just don’t care, and the ones that do (he had a couple great ones) just don’t outweigh the bad ones.